In November, I took the opportunity to attend a regular meeting of the Ainslie Wood Community Association. There’s been some anti-student rhetoric in the neighbourhood, and I wanted to determine if the AWCA represented a single-issue focused splinter group from the nearly 20 year old Ainslie Wood / Westdale Community Association, or if this represents a natural evolution of local engagement to the creation of a separate neighbourhood association for distinctive area. The summary? There are residents on the AWCA working to transition it from single issue advocacy to an established neighbourhood association that is focused on community planning instead of reactionary responses to a school closure. The biggest challenge facing the AWCA will be creating a positive relationship with McMaster students, and allowing purpose built student housing in spite of a strong undercurrent of NIBMYism lead by some of their most predominant citizens. Politics is not without context, and the long-term residents of Ainslie Wood are dealing with the closure of their public elementary school. This scars them, it angers them, and it is the catalyst for the creation of the AWCA. 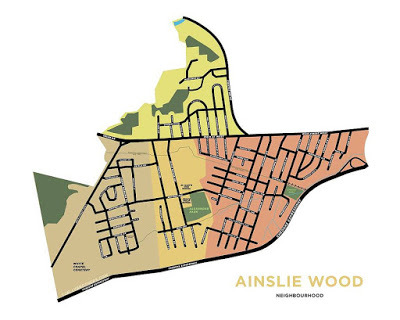 Prince Philip closed in the face of declining enrollment in the past decade as many of Ainslie Wood’s single family homes have become multi-resident (student) rentals during the past twenty years. The City’s poor (arguably non-existent) planning for student housing is often confused by long-term residents as students being the problem. Students fuel the economic vibrancy of West Hamilton and provide the customer base that enables so many commercial services to be located along Main Street and across the neighbourhood boundary at University Gardens in Dundas. The watershed moment that started the transition of Ainslie Wood from a predominantly single-family community began in 1995 with the implementation of the bulk discounted HSR universal pass for McMaster undergraduate students. The U-Pass opened west Ainslie Wood to student living. Prior to this, living in the quadrant of Ainslie Wood south of Main Street and west of Ewen Road was not convenient for McMaster students. Now they could ride the bus for “free” as the cost of transit was part of their tuition. Around the same time, the provincial government cut block funding to universities, and provincial funding was more greatly tied to student enrollment. McMaster, and other Ontario public post-secondary institutions, responded by rapidly increasing enrollment. In 1996, McMaster’s undergraduate enrollment was just over 12,000. There were just over 1,500 graduate students. In 2015-2016, McMaster reported an full-time undergraduate enrollment of 24,797 and full-time graduate enrollment of 3,616. To put this in perspective, it took McMaster 65 years to reach 12,000 undergraduates, and only 20 years to double that. While increasing full-time enrollment by over 14,000 students, McMaster has only built two new residence buildings in the past 20 years. Presently, McMaster lists a capacity of 3578 beds in its residence buildings, 669 of those are in the new buildings. The university did add beds in older buildings by converting double rooms to triple, and a few larges rooms to quads. Even being generous, despite more than doubling enrollment, the university barely added a quarter to their residence capacity. The result for Ainslie Wood has been a shift, the single-family homes are profitable investments as rental properties, and they’ve become just that. The AWWCA (Ainslie Wood Westdale Community Association) began in 1998 as a reactionary response to students moving further east into the Longwood area. Known originally as the Ainslie Wood / Westdale Community Association of Resident Homeowners, students were strictly forbidden from joining the association. I tried to join in 2005, when I lived in Ainslie Wood, and was told renters were not welcome. I covered one of their events in fall 2006 for The Silhouette, and they made clear the McMaster student newspaper was not welcome. Needless to say, I was not impressed to be unwelcome in my own city. Today, while nowhere nears the extreme of “Parents Against Drunk Students”, there is a anti-student sentiment among some residents surrounding McMaster University. Much like AWWCA in its first 15 years, the AWCA must navigate this issue. The November AWCA meeting was attended by about a dozen residents. Held in the community room of the Main West Fortino’s, I found them to be very welcoming. Committee of Adjustment applications were a significant topic of discussion. Much of the discussion revolved around the concerns of over-intensification, property standards, monster homes, and community security concerns that occur while students homes are vacant during academic breaks and summer. AWCA opposed the large home additions, and Tordis Coakley took the AWCA position to Committee of Adjustment a week later where she was politely received as she focused on Planning Act arguments. She won. Previously, former Alderman Mary Kiss represented AWCA at Committee of Adjustment. Her presentations often veer away from planning issues into anti-student rhetoric – creating the impression at City Hall that AWCA is anti-student. I noted moments of the discussion during which AWCA members talked not about just opposing student housing, but about finding a way to support purpose built student housing. While the housing variances where the most interesting part of the agenda, there were plenty of other items one sees at NAs. Planning for participatory budgeting, updates on finances, preparations for AGM elections, and discussions of meeting dates. They need to create a realistic plan for higher density housing in their neighbourhood – more than the usual rhetoric of ‘student housing should be on Main West’ which is quickly followed with opposition to student housing on Main Street which abuts a side street. It must include medium density student housing on the former light industrial lands along the former rail line, such as is about to be built at 71 to 77 Leland. The catalyst for their creation – the painful closure of Prince Philip – could be what holds them back from success. They have to plan on how to encourage McMaster students to stay in the neighbourhood after graduation and raise families. It may 20 years for the community to re-balance after the past 20 of change, it won’t happen if McMaster students don’t feel welcome. Last week, I had a short discussion with a friend from my days attending McMaster. He and his wife work in Niagara and Waterloo regions, they feel in love with Hamilton (and each other) while attending McMaster, they now live in Westdale. 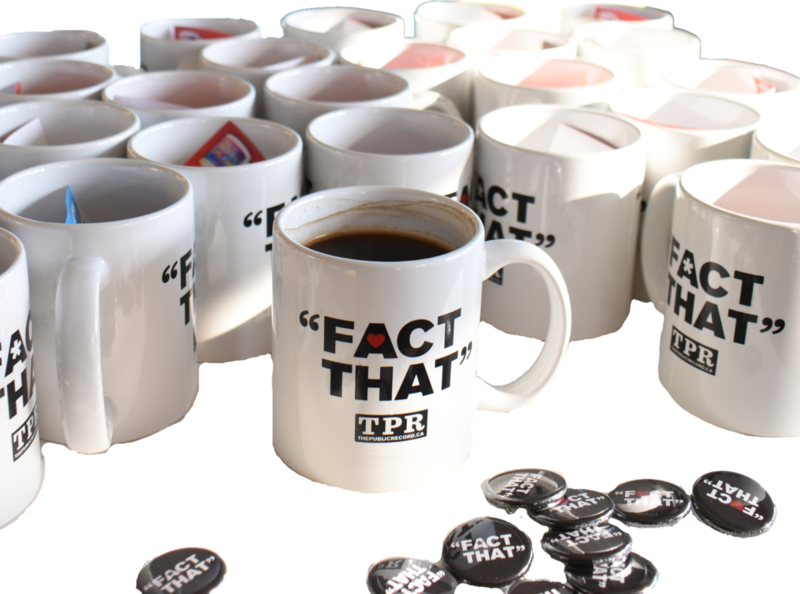 How do we get more of those stories to happen? Postscript: Mark Coakley is now the chair of the Ainslie Wood association following their AGM this past Thursday. Many thanks, Joey. Interesting discussion and many good issues raised. Will keep on encouraging students to join up, to become members of our Ainslie Wood Community Association (AWCA). PACCR meetings is the neighborhood/university connecting vehicle right now. On shared and particular to Ainslie Wood community issues, there is of course a place for students at our meeting table. 1. When Prince Philip school was closed, the school was full. It did not close because of a lack of students, nor I understand, due to an expected future decline in students. No idea why it was closed. I think the community is moving on nicely from this, and we look to establish new community spaces. 1. The medium density zoning change for 71-77 Leland was accepted by our group. 3. Personally, development in Ainslie Wood is good, density is the way to go. It is necesary to plan and build here for a better balance in housing and services – for seniors in particular, disabilities, for families, and for those in need of affordable housing. I think the community’s frustration is much related to student purpose built only, and other groups being left out in housing. Again, thanks for your visit, and for your article. This article fills in some blanks and confirms a few things I had surmised about the seemingly unbalanced political winds in AW/W. It has been frustrating as an outsider to hear so much rhetoric about students and the places they live followed by staunch opposition to new new and highly appropriate proposals situated on and near Main Street West. I did not know McMaster enrollment had fully doubled in twenty years, though it’s not surprising to hear and it explains much. Let’s hope for a more balanced discussion moving forward, and the advent of local support for the types of development that fit into modern planning frameworks providing new housing options for students. That could well reduce the concentration of students in formerly single family houses and maybe lead toward the healthy mix of demographics that permanent residents seem to want. Joey, thank you for extending your outstanding local news coverage right into the Neighbourhood Associations and reporting on issues at this level well beyond your own neighbourhood. Your invaluable work is deeply appreciated!